Dr. Vena with one of her favorite patients, Pinky. Dr. Vena, a graduate of Penn State University and the University of Pennsylvania School of Veterinary Medicine, began her career working for two mixed veterinary practices in upstate New York before relocating with her family to the Johnstown area where she has practiced for the past 15 years. 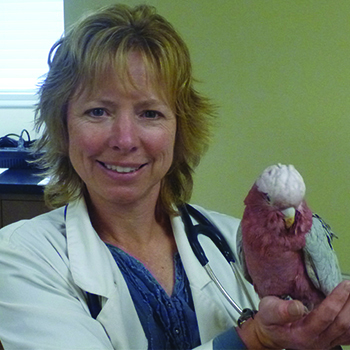 Dr. Vena is recognized locally for her expertise in treating exotic animals. She has spent two decades gaining the knowledge needed to heal reptiles, amphibians, birds and other rare pets. Her interest in exotics was piqued during the four years she spent working at the Philadelphia Zoo, where she provided medical care to Galápagos tortoises, giraffes and other animals that require specialized handling. Dr. Watchey with her dog Nemo. Dr. Watchey grew up in Johnstown. She graduated from Richland High School, and earned her bachelor’s degree from Susquehanna University in Selinsgrove, PA. She went to veterinary school at the University of Minnesota in St. Paul, MN. She graduated from vet school in 2009. She enjoys surgery and dermatology. One of her favorite parts of being a vet is taking care of puppies and kittens and forming a bond with them and their owners as they grow up. 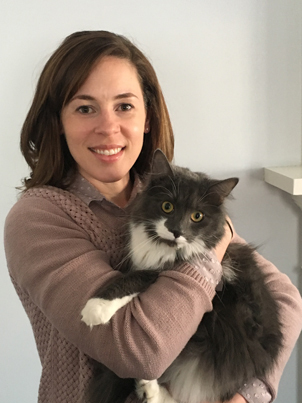 Outside of the vet clinic, Dr. Watchey enjoys spending time with her husband, Adam, their dog, Nemo, their two cats, Tim Tam and Oz, and Newtie, their newt. She also loves to spend time with family and friends, scrapbook, travel, read, and go to Zumba classes. Dr. Duman with one of her feline patients. Dr. Duman is a graduate of Penn State University and the University of Pennsylvania School of Veterinary Medicine and has been practicing veterinary medicine for 16 years. Canine and feline medicine is Dr. Duman’s focus. She especially enjoys soft tissue surgery, internal medicine and dermatology. Dr. Duman and her family share their home with their three cats (Percy, Pumpkin Patch, and Dewey) and their senior Lhasa Apso, Rosie. When they are not at home, Dr. Duman and her family are usually enjoying the outdoors or at a sporting event. Skye (pictured left) is one of our Veterinary Technicians. She graduated the Vet Tech Institute in 2017. Leah also graduated the Vet Tech Institute in 2017. She also completed her externship here, and has been with us for 2 years. Kendra graduated in 2009 from Bel-Rea Institute for Veterinary Technology located in Denver, CO. She has a special interest in exotics and previously worked a pet store where she bred ball pythons. Angel is our newest Veterinary Technician. 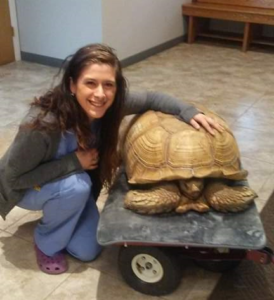 She completed her externship with us during the fall of 2018, and upon graduation at the Vet Tech Institute, was offered a permanent position. Bonnie is one of our Veterinary Assistants and has been with us for 5 years. 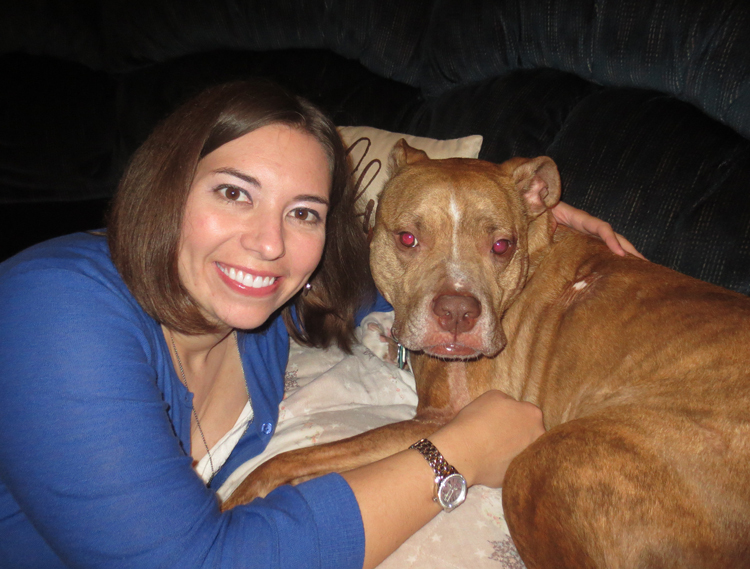 Sarah has 9 years of experience working in veterinary clinics, and attended the College of Southern Maryland. 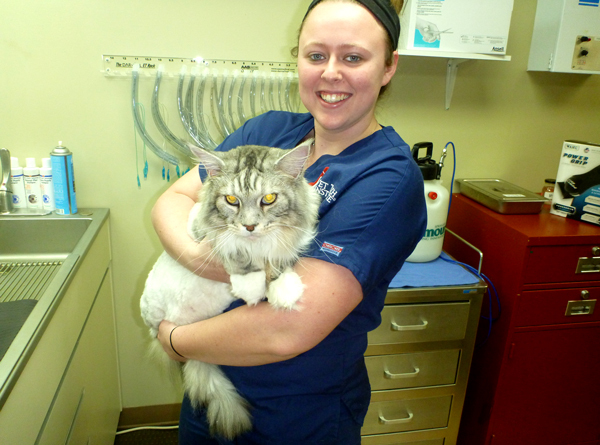 Chelsea has been working with us for 1 year as a Veterinary Assistant. 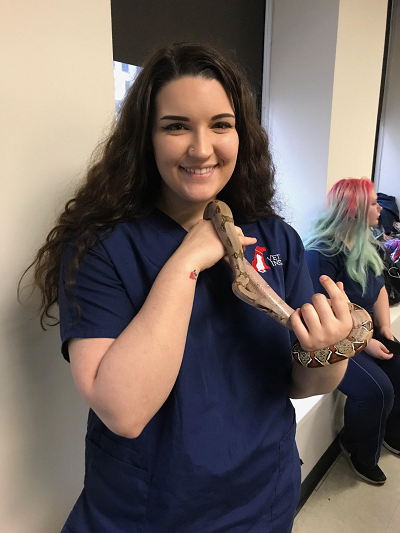 She graduated from Pennsylvania State University in 2016, and is planning on applying to St. George’s University for the 2019 fall semester to earn her Doctorate in Veterinary Medicine. In March 2019 she volunteered in Roatan, Honduras to provide veterinary care to rescued exotic animals. Wendy has been working with us for 1 year as a Veterinary Assistant. She is happily married with one daughter, 3 Golden Retrievers, 2 rabbits, 2 guinea pigs, and 1 cat. Two of her Golden Retrievers are Registered Therapy Dogs. She enjoys family time around the camp fire and spending time with extended family and friends, as well as kayaking. Sam is one of our Veterinary Assistants that will be graduating the University of Pittsburgh at Johnstown in spring of 2019. Cheryl is our Offi ce Manager as well as a Receptionist. She has been with us since we opened in 2013. Mariann and Karen are also Receptionists at our clinic and have been with us since we opened. Mariann’s favorite breed of dog is the Chihuahua. Michelle is our newest Receptionist and started working for us in September of 2017.